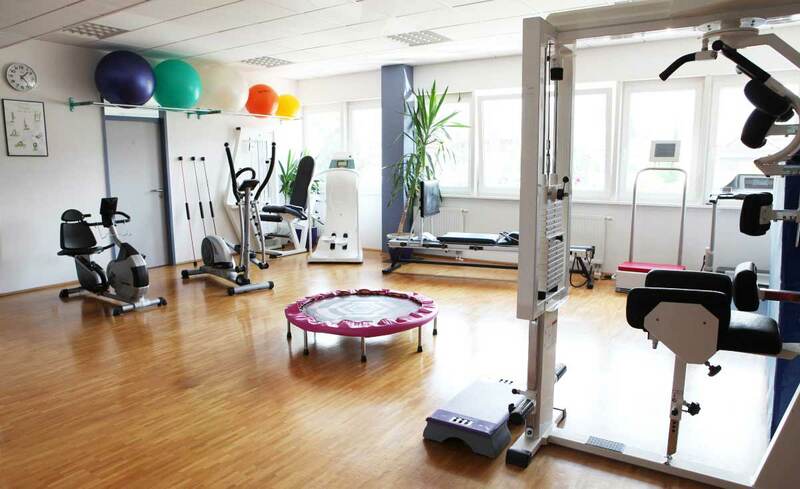 Median Kinzigtal bad Soden-Salmuenster Rehabilitation Clinic (MEDIAN Kinzigtal-Klinik Bad Soden-Salmuenster) is one of the 43 clinics of the Median Kliniken Group with the Head office in Berlin, specializing in neurological, cardiological, psychosomatic and orthopedic rehabilitation. This clinic specializes in internal medicine, orthopedics, sports medicine, oncology, urology, and psychosomatics. Here depression, anxiety, psychological and physical trauma, rheumatic diseases, and metabolic diseases are treated. In the course of the treatment all patients of the clinic live in comfortable single rooms with shower and toilet equipped with a telephone and TV-set. The clinic offers a limited number of double rooms for couples and patients with accompanying persons. There is no free access to the Internet, as the Internet addiction is treated here but you can use the Internet for 1 euro per hour. 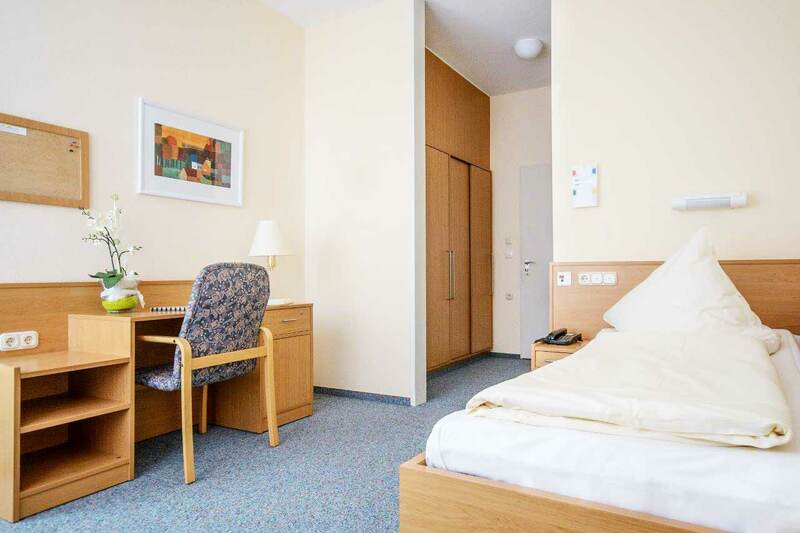 The patients of the MEDIAN Kinzigtal Clinic in Bad Soden-Salmünster stay in conveniently furnished single rooms with a balcony, a shower/toilet, a telephone and cable TV. Some rooms are designed to meet the needs of people with disabilities. Each room in the clinic is very light and eye-pleasing. There is a limited number of double rooms in the clinic for couples and accompanying persons. LTE-connection for a mobile phone is available upon request. The clinic offers single and double rooms. If you choose a single room, an accompanying person will be able to stay with you. A double room is shared with a patient of the same gender. The enhanced comfort rooms are equipped with a safety box, a fridge and upholstered furniture. The patient and the accompanying person are offered a daily choice of three menus. If you are on a specific diet for any reason, you will be offered an individual menu. Please inform the medical staff about your dietary preferences prior to the treatment. Your companion may stay with you in your room or at a hotel of your choice during the fixed program. Bad Salmuenster is a small quiet town located in Hessen and it can be easily reached by train and by car. 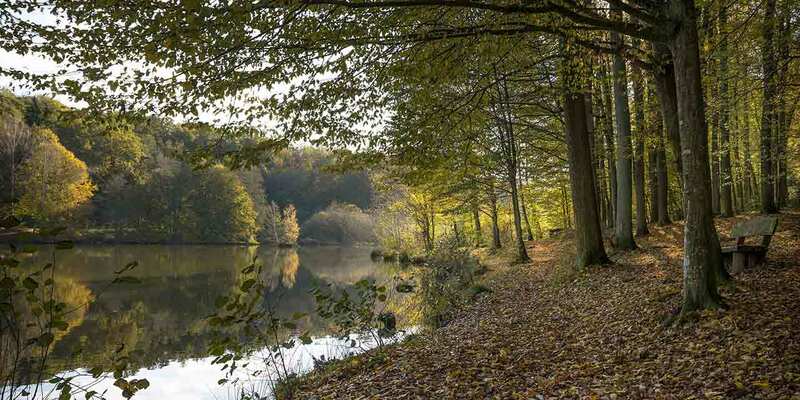 It is situated in the picturesque mountain area not far from the town of the Brothers Grimm – Hanau. Here you can see many historical buildings, and also you can visit spas, water parks, theaters and cafes. For lovers of hiking, there are several tours around the town routed through the beautiful forests and valleys. People with rheumatism can improve their health in two spa centers.